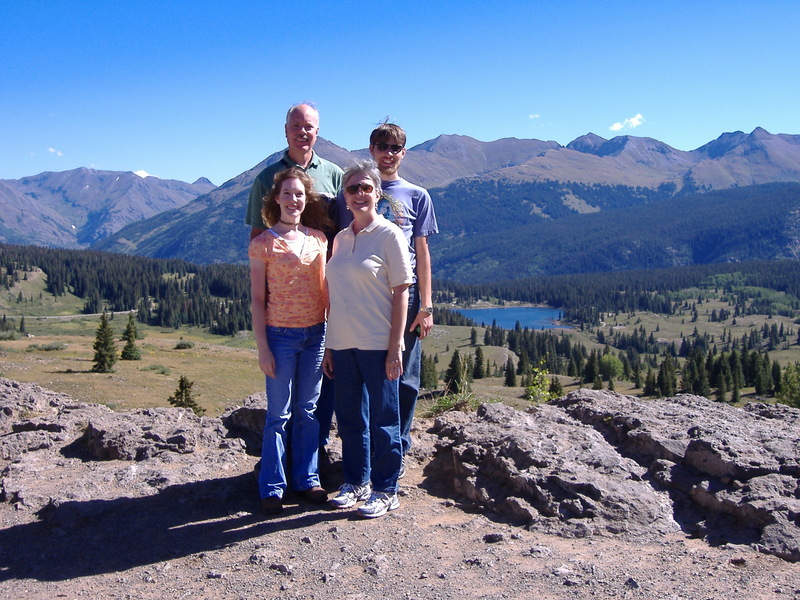 My favorite family vacations took place in the Colorado, New Mexico, and Canadian mountains. Most of the time we roughed it in pop-up campers and tents, but one time we spoiled ourselves with a cabin. As prissy as I was at the time, the cabin was far more pleasant than the alternatives. All other options were prone to have water leaks at least once during the adventure, not to mention the creepy, crawly bugs. A cabin also felt far safer when our camp site was visited by black bears in the middle of the night. Of course, having a private shower on the premises was also a bonus. How could anyone enjoy sharing a slimy shower with the rest of the campers, bearing who-knows-what kind of fungi and germs? Yes, the cabins definitely trumped the rest. No matter our form of shelter, the greatest joy of our trips was our day-long hiking journeys. Donning our hiking boots, backpacks, and hats, we began our trek up the wooded mountainside. It was exhilarating to head for the mountain top and explore what only a few brave people could see: big blue sky, shimmery lakes, wild flowers, and trees, trees, trees everywhere! I could live on that mountain top . . . at least until winter. Breath-taking hikes didn’t come without a price, though. The uphill climb most of the time was rough going on uneven, rocky ground. It was tiring as the summer heat cascaded through the trees onto our backpack laden backs. Water canteens emerged more frequently as our legs got tired of hiking. At times it was enough to make us wish we could just leap to the top in a single bound. Unfortunately, it didn’t work that way. None of us were Superman or Superwoman. Our lives are a lot like a mountain hike. Rough circumstances, challenging situations, and hot frustrations mark our steps toward our mountaintop of success. We would just love to put on our super-hiker gear and leap to our mountain top, by-passing any kind of stumbling block or hiker inconveniences. However, what’s required of us isn’t a leap – just a trail of consistent, faithful steps. Unlike our mode of transport, God’s hike through life is made up of steps of faith, not gigantic leaps that send us falling and tripping to our desired destination. Without Him as our guide, our effort to make it over the rocky terrain is dangerous and sometimes fatal. In our haste to avoid the challenges, we “lean on our own understanding” (Proverbs 3:5) and head out with our polo sticks. We think we know the easiest and most successful way to the mountaintop, but in reality, what we really need is some “ordering,” a lamp to guide our way. A lamp – or flashlight – doesn’t shine all the way to the other end of the trail. It gives just enough light to take the next step. Just the same, God directs our lives by His Word – one step at a time. It’s a matter of faith. Do we trust Him enough to obey His last instruction before moving on to the next step? His promise is that He will get us to our destination safe and sound. His steps won’t lead us to our demise; they’ll lead us our success!